Red Dog Logistics Hours of Services is a powerful but easy to use tablet and portal-based service certified with US Department of Transportation Federal Motor Carrier Safety Administration (FMCSA) regulations for electronic logs and vehicle inspections. 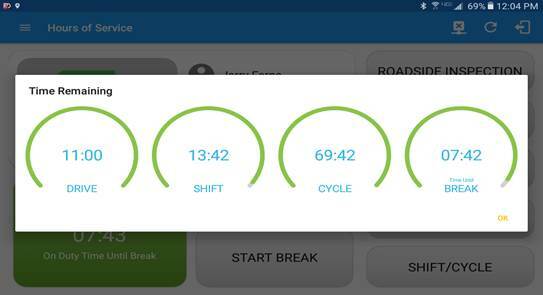 Regulations for electronic driving and vehicle inspection logs have become commonplace to ensure the veracity of driver tablet input and ensured compliance with regulations. Red Dog Logistics Hours of Service is compliant with federal and state regulations as well as Canadian regulations. Red Dog Logistics Hours of Service has a tablet or smartphone-based app that is fully FMCSA-certified and provides both hours of service and DVIR support in addition to data for IFTA reporting. 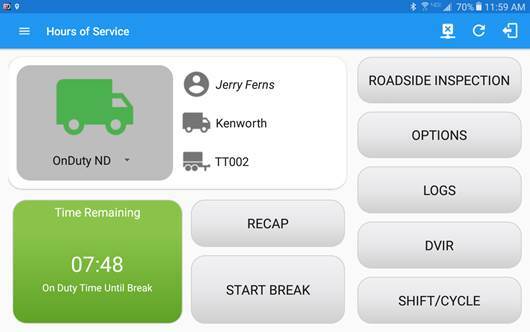 Red Dog Logistics Hours of Service uses an Android-based tablet and an ELD (electronic logging device, hardware purchased separately) for electronic logs and vehicle inspections. Several state driving rules exemptions, such as for oil fields are supported.